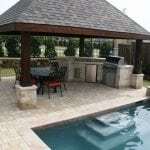 Trending more than ever before is outdoor kitchens. 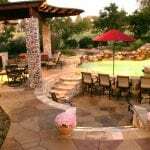 Not only are they a great place to spend time with family and friends, but you can use them year round in warmer regions. 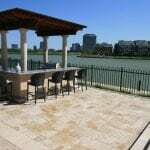 In the past, a patio with a barbecue was enough to entertain family and friends, but now, gourmet outdoor kitchens are much more elaborate and well worth it. 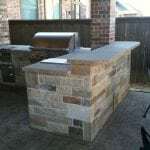 If you have been considering an outdoor kitchen addition to complete your backyard oasis, know that you’ll be in for some pretty great advantages that come with this investment. 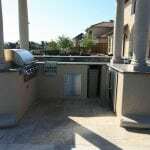 No matter if you aren’t thinking about selling now, or you know it’ll be something you will do in the future, the value of your home matters. 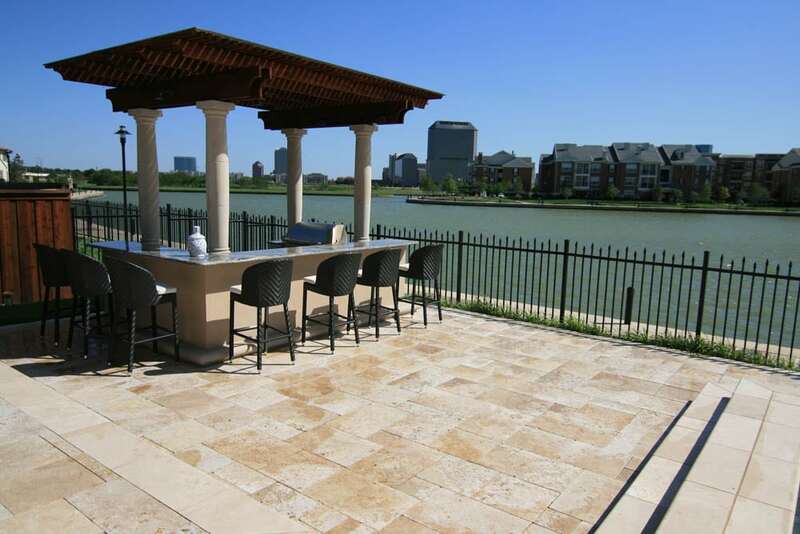 Outdoor kitchens are a luxury feature that many future homeowners look for. 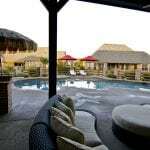 This not only makes your home much more marketable, but it can give you a higher return on your initial investment. 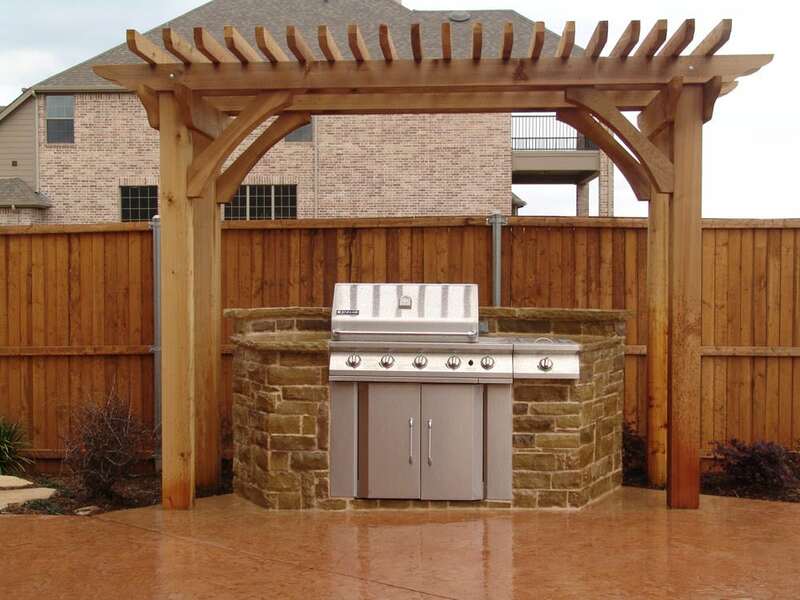 If you love having people over to socialize, an outdoor kitchen is a perfect addition to your backyard oasis. 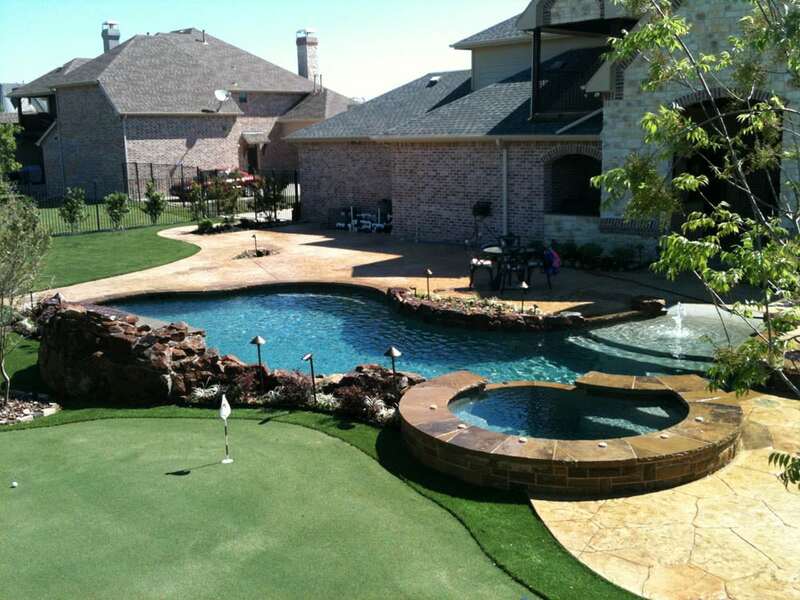 You will easily be able to host larger parties with friends and family. 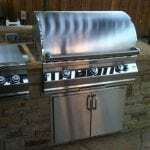 Not only that but being able to prepare legitimate meals for everyone in an outdoor kitchen is better than offering only hot dogs and burgers. The limits are endless when you have a full kitchen to prepare meals in, and you’ll have a lot of space for doing so too! 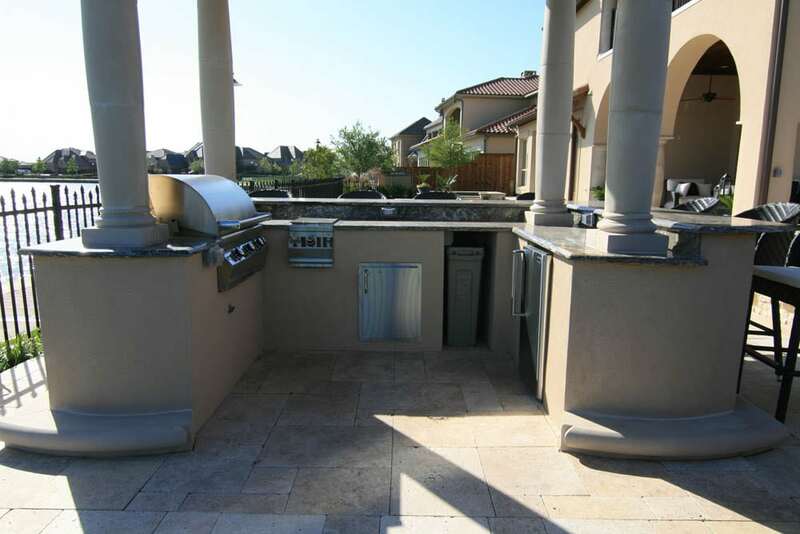 When you’re not having to run back and forth from your outside patio to your kitchen indoors, life will be much easier. 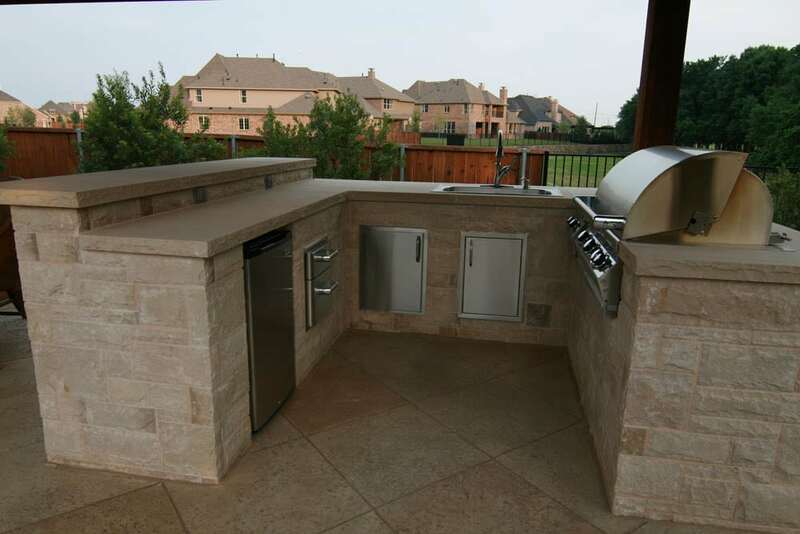 Prepare all of your food in one place, your outdoor kitchen. 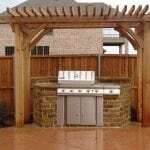 You’ll have more options than ever before when you decide to install an outdoor kitchen that includes everything your indoor kitchen has. 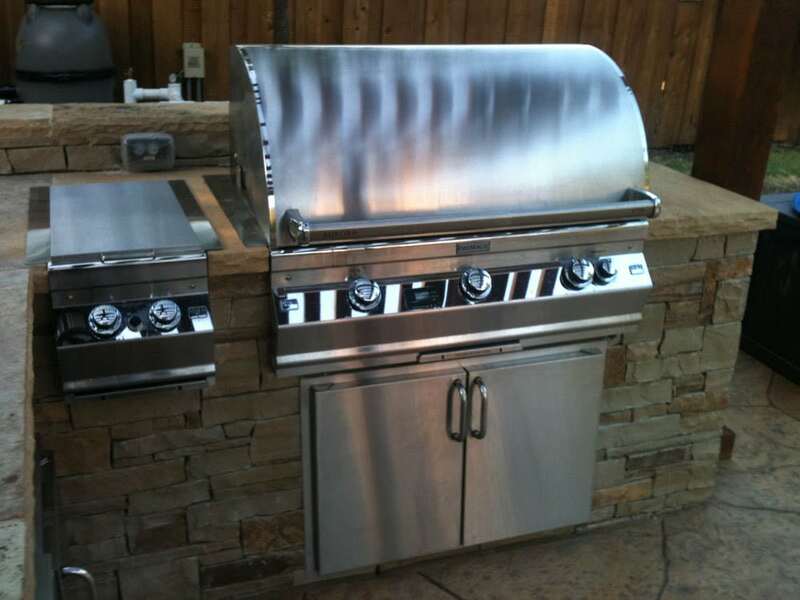 Appliances, like a refrigerator, stove, oven and sink, are just a few things that you must include to get the most out of your outdoor kitchen! 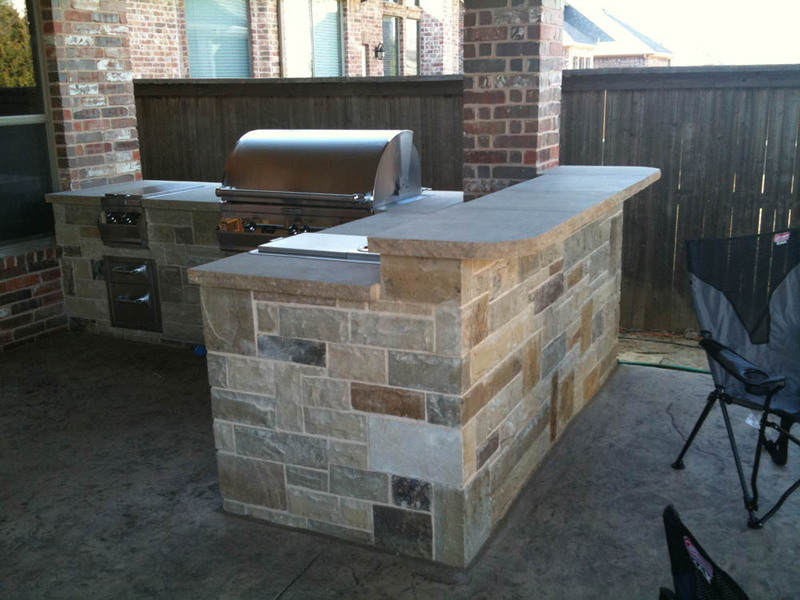 All of our outdoor kitchens are all professionally designed, and all of our work is custom. 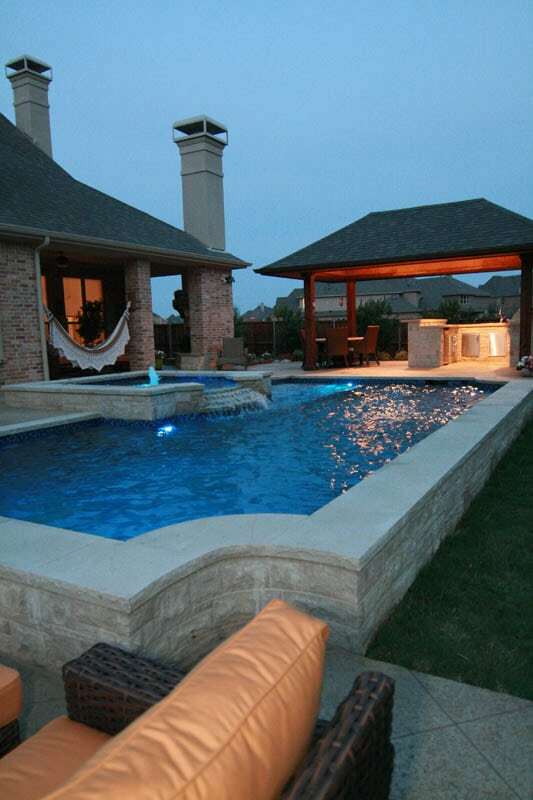 This is one great reason why many of our customers come to Mirage Custom Pools. 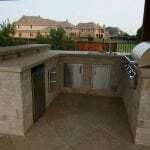 They want their outdoor kitchen to be completely customized to their needs and wants. 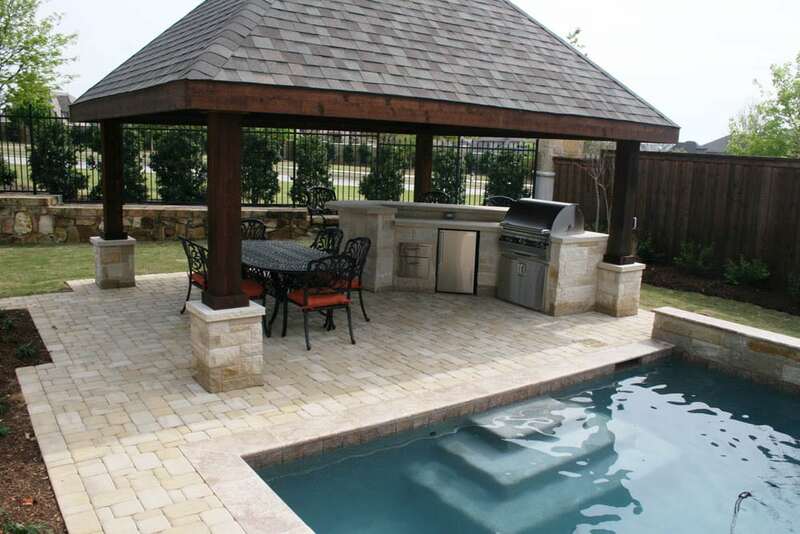 We can provide you with an outdoor kitchen that a specific to your exact needs while meeting your style and tastes during the planning stage. 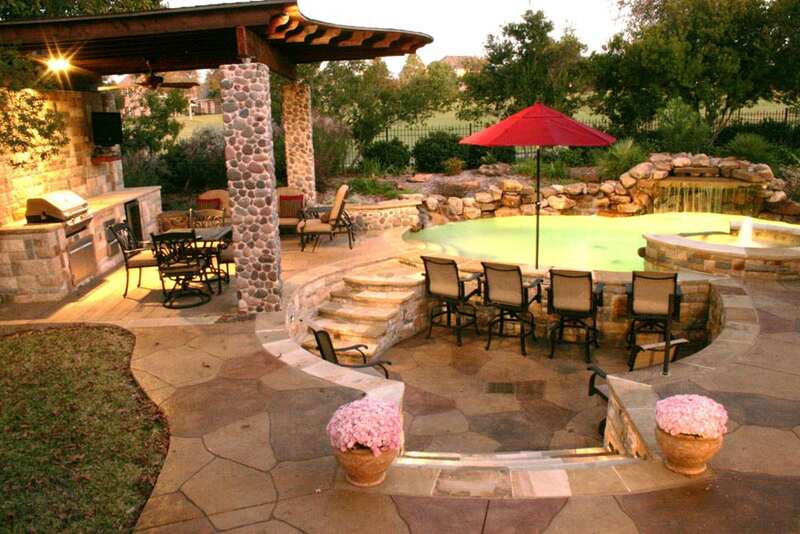 We’ll work with you to figure out the perfect design to complete your backyard oasis once and for all. 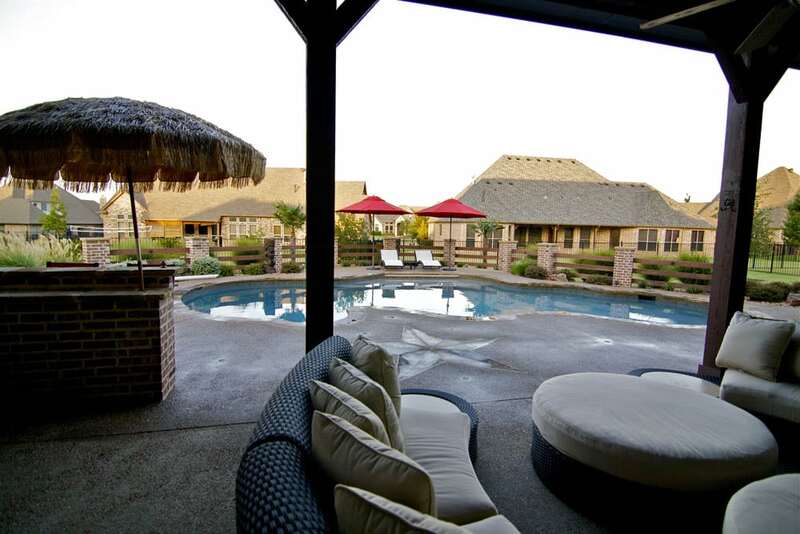 Are you ready to get started with Mirage Custom Pools to start enjoying more meals outside comfortably? 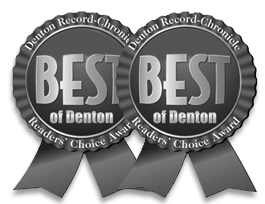 Contact us online today to get started!